Was He Jiankui's 'real crime' that he talked too much? Chinese researcher He Jiankui is reportedly under house arrest by the university he worked for in Shenzhen, southern China, following his return from a conference in Hong Kong. He Jiankui, an associate professor at Southern University of Science and Technology (SUST) in Shenzhen, addressed a packed hall of around 700 people attending the Human Genome Editing Summit at the University of Hong Kong on Nov. 28. He said that he used a gene-editing technology known as CRISPR-Cas9 to alter the embryonic genes of the twin girls born this month. However, He at the center of an ethical storm over what he claims are the world’s first genetically edited babies said he is proud of his work and revealed there was a second “potential” pregnancy as part of the research. The organizers of a conference where He claimed to have edited the genes also condemned the work on Nov. 29, calling it “deeply disturbing” and “irresponsible”. The presidents of the U.S. National Academy of Sciences (NAS) and the U.S. National Academy of Medicine (NAM) also expressed concern about He’s work. “The events in Hong Kong this week clearly demonstrate the need for us to develop more specific standards and principles that can be agreed upon by the international scientific community,” NAS president Marcia McNutt and NAM president Victor Dzau said in a statement. The committee called for an independent assessment of He’s claims. He’s “achievement” was initially reported positively by the Chinese Communist Party’s (CCP) state-run newspaper People’s Daily on Nov. 27. However, following international condemnation, the Party’s attitude quickly turned around. On Nov. 29, the CCP ordered a temporary halt to gene editing research. He Jiankui was brought back to the university and is under house arrest on campus by the university’s president, Chen Shiyi, on Nov. 28, reported Hong Kong newspaper Ming Pao. This gene editing technology was invented in the United States and is relatively uncomplicated to replicate. However, the international scientific community has strict protocols against its use on human subjects. Observers believe that this experiment could only happen under the environment of atheism and moral lawlessness created by the CCP. Caoji, the online alias of a netizen who introduced himself as a former science professor at a university in Shanghai, wrote on Twitter on Nov. 30 that He’s “Gene-Editing Baby” experiment was promoted by high-ranking CCP officials. He’s university, SUST, was responsible for the project, and He carried it out in secret. With hundreds of millions of yuan in funding at SUST, and given that He is a researcher associated with the CCP’s “Thousand Talents Plan,” Caoji believes that the experiment could not have occurred without state backing. The “Thousand Talents Plan,” an ambitious initiative to attract foreign experts to China, is of particular concern for U.S. officials. Established by the Chinese communist regime in December 2008 to bring academics and researchers to China, the program has been described by the U.S. National Intelligence Council as a means of enabling technology transfer to China from the United States. 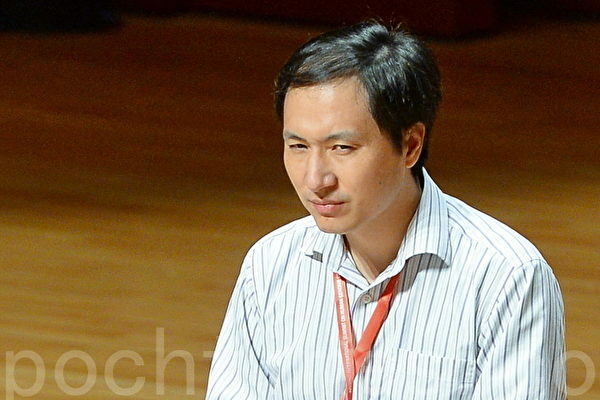 Sina reported on Nov. 27 that the funds for the “gene-edited baby” came from SUST. According to the “informed consent” on the university’s website of SUST, its target is to produce babies who are born with immunity to HIV-1.